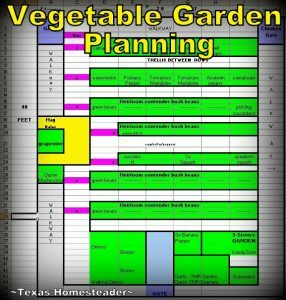 I’ve already done my easy Garden Planning using this spreadsheet. Using this document allows me to see what I planted last year & where so I can rotate my plantings to help keep pests at bay. It also has a quick reference to companion planting. So I can make sure veggies that are planted close can play nice together. 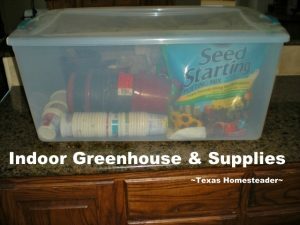 And I’ve just recently planted my Indoor Greenhouse too. I like to use heirloom seeds, but I still like putting actual seedlings in the garden in the spring. This step lets me do both! I was even able to repurpose used cardboard to make my seed-starting pots. It was easy – a few quick snips & folds is all it took. I can plant the seedling, cardboard and all, right into my garden when spring arrives. The cardboard decomposes and actually feeds the earthworms. Win/win! Now I don’t know what this beast is, but it grew alongside a weed barrier which kept it from getting its roots very deep into the ground. So I was able to get it pulled out roots and all. DANG! This helps me understand why it’s such a struggle to keep the weeds at bay – look at that massive root system! Our driveway runs alongside our garden in one spot. When we moved here we planted a row of gorgeous Crape Myrtle trees along our driveway. They run from our front gate all the way to our home. It makes for quite a lovely entrance. But the Crape Myrtle trees next to my garden fence grew so tall they shaded the garden much of the day. That shade coupled with the drought last year kept my garden from producing at all. We just can’t have that now can we? Although I love the look of the row of gorgeous blooming trees along the driveway, I asked RancherMan to hack the height of four of the trees next to my garden fence to only 3-ft high. They’ll sprout and grow this spring of course, but my hope is that we can keep them trimmed to around the height of the fence. If it doesn’t work we’ll have to remove these four trees all together next spring. I hope it doesn’t come to that though. 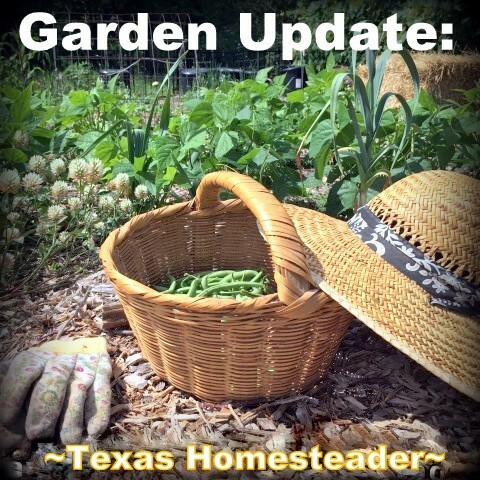 Now that the trees around the perimeter of the garden have been trimmed, let’s get in the garden & do some prep! My favorite garden tool this time of year is the stirrup hoe. When the soil is damp like it is now, the stirrup hoe cuts weed roots just below the soil’s surface. I first cleaned up the planting rows by removing all dead vegetation from last year’s garden. 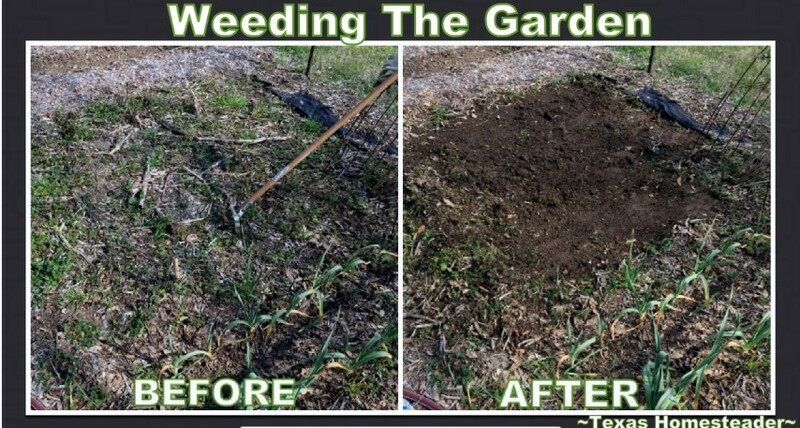 Then I used my stirrup hoe to clean up early-spring weeds that were trying to grow in my rows. Just a few swipes and BOOM! Here’s a before & after for ya. This bed that I typically reserve for garlic and my 3-sister’s garden was taking a weed beating! But using the stirrup hoe I weeded it in 4 minutes. Yeah, I love this thing! It doesn’t help me much in the heat of summer when the ground is hard as concrete. But DANG it sure makes fast work this time of year. In the coming weeks I’ll go pick up several loads of Free Bark Mulch and re-mulch my walkways. That will help to make sure they stay weed free too. Work smarter, not harder I always say! I’m so anxious but I know it will be time to plant before I know it! SORRY, The FREE Heirloom Seed Giveaway Has ENDED! One of my favorite plants in the garden is heirloom tomato. Those gorgeous orbs of deliciousness are the sweethearts of the garden that’s for sure. I love to grow heirloom tomatoes. Not only do I use heirloom seeds to plant my garden each year, but I love making my own fresh Garden Salsa and Pico de Gallo with those tomatoes. Delicious! Now howzabout this?? 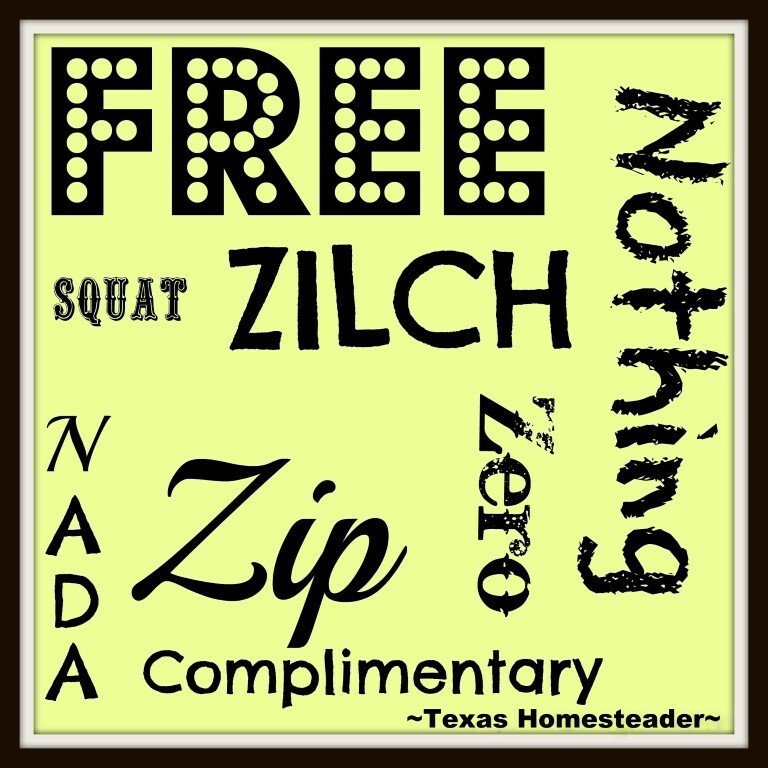 I thought since many of us are starting to think about planting the garden I’d have a FREE seed giveaway. I have a packet of Heirloom Amish Red Tomato Seeds to give away to a lucky winner. This packet of seeds contains 20-30 seeds. Wowser! Getting the chance to win the heirloom seeds is easy – 1 point for each item is given via the rafflecopter below. But there’s a BONUS option of 2 points to each reader who goes to the post pinned to the top of our Facebook Page & tags a friend they think may enjoy our little ole blog. Hopefully they’ll subscribe to this blog too – the more the merrier! 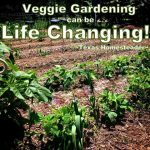 Do you know someone who likes to cook from scratch or garden? Do they enjoy being environmentally aware or living life the old way? Or do they just enjoy reading about good ole life in the country? TAG ‘EM on the top pinned post on our Facebook Page! You have through Sunday February 10th to enter. Ready? GO! A random winner will be chosen after the giveaway ends at midnight on Monday, February 11th. 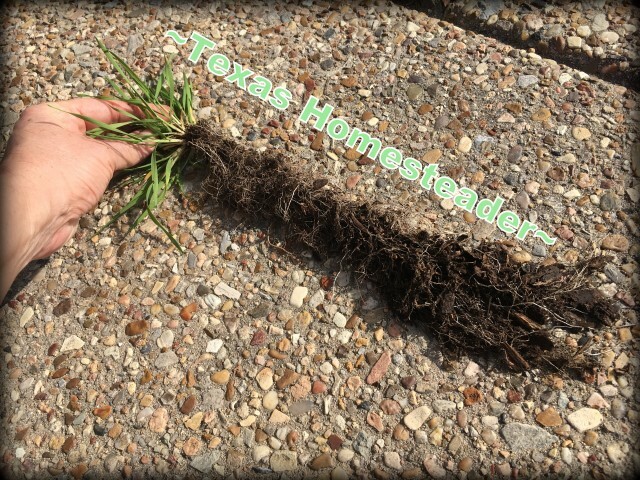 This entry was posted in Blog Posts and tagged Gardening, Winter on February 7, 2019 by Texas Homesteader. I am getting so anxious to start gardening. I think tomatoes are my favorite to grow but love squash too. I love gardening and growing tomatoes each year. 36 years and counting. I LOVE growing tomatoes! Hope I win! Cool giveaway. Hope I win. Gardening season will be here before ya know it. Good luck!